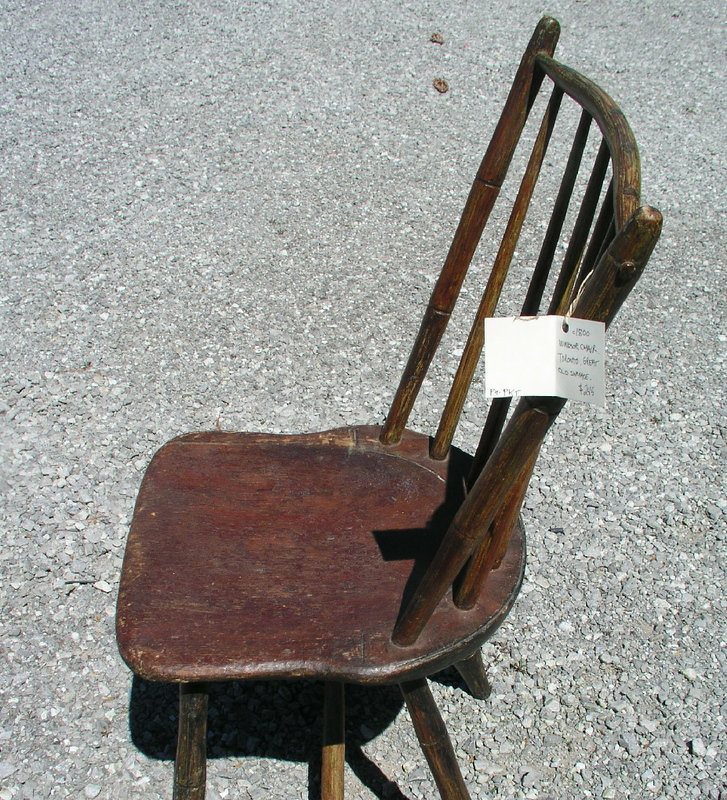 This eccentric Windsor side chair comes from the East Coast of Canada. As you can see it has one leg which reaches forward farther than the other, making it look like it is about to walk. It is however solid and sits level. 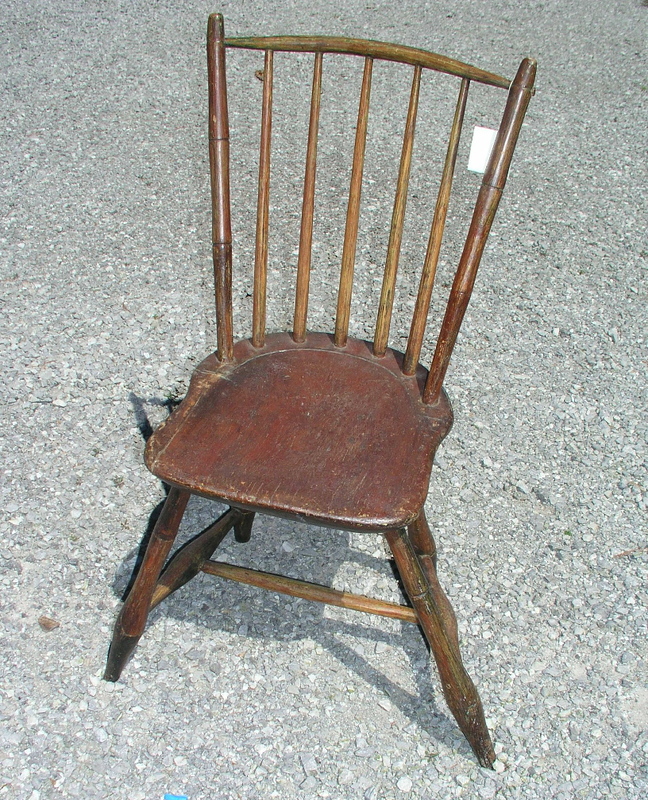 Circa 1820 in old, untouched finish. 14 1/2" deep, 13" wide, seat height is 15 1/2", 32 1/2" tall. 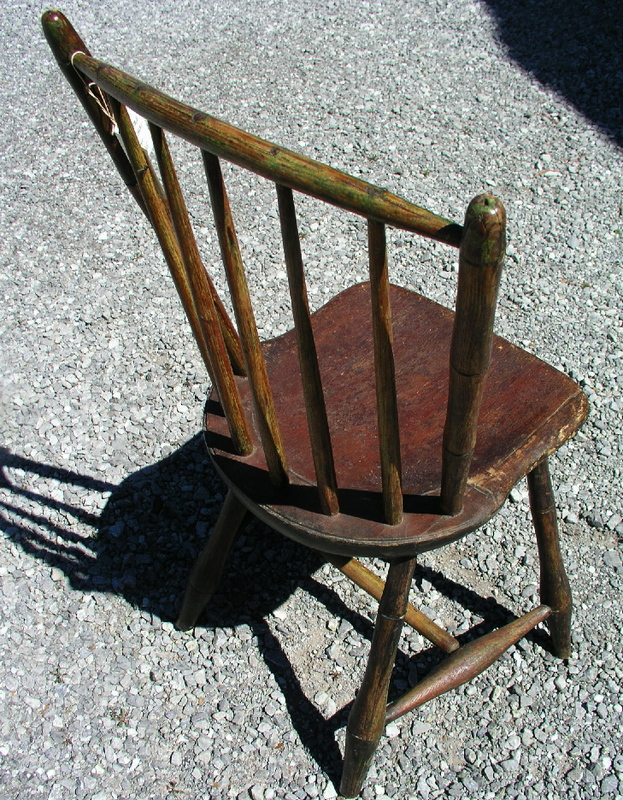 Comfortable, and with great patina.